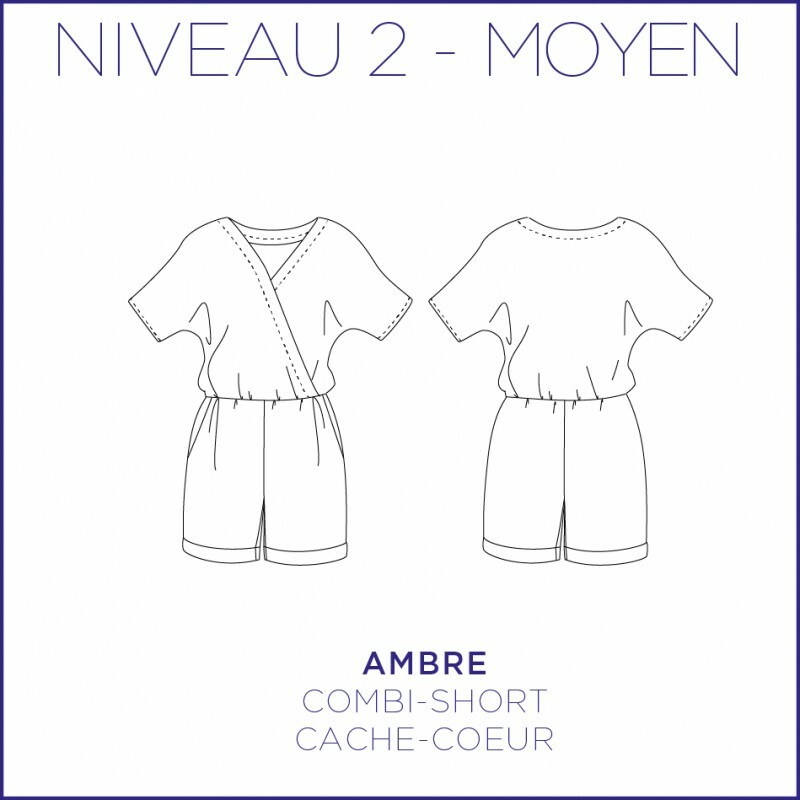 Combi-short easy to make and to wear. Wrap-over jumpsuit with elasticated waist, no zipper, side pockets and mid-thigh length. Ideal for your holidays in the sun. These versions are made with a viscose from Tissus Bennytex.